Leaders and tippets can be a bit confusing for the beginning fly fisherman. Basically, the leader is a monofilament line with one heavy end and one thin, tapered end, which is called the tippet. The leader connects the fly to the line, providing the action to the fly that tempts the fish. If you choose the wrong weight, it can affect how your fly lands in the water, making it appear artificial and stiff. The fish will know what is going on and avoid your hook like the plague. A good leader (Maxima is a well-known and respected brand)must have a certain amount of stiffness to present the fly in the best manner possible. It is usually two-thirds the thickness of the fly line. The tippet, on the other hand, needs to be fine, yet strong enough not to break. The size of the tippet is usually designated by a number followed by an X. The size you choose will influence your fly delivery. You need to find a good balance between the weight of the fly and the weight and diameter of the tippet. Tippets can normally be found in sizes 1X, 2X,3X, 4X, 5X, 6X and so on. There are two types of leader available; the knotted and the knotless. . Those without knots are a single monofilament that is tapered during the manufacturing process. The knotted style is made with various pieces of monofilament that have been knotted together. This is the most popular style. Leaders usually are available commercially in 2.3 meter or 2.7 meter lengths. Don't use a leader that is too short, as your fly will not present properly to the fish. By the end of the day, the leader will be a lot shorter than it began the day anyway, due to changing flies, fraying, and other damage that may happen. There are several companies that manufacture leaders and tippets. If you're looking for knotless leaders, you can find some that are made especially for trout. They come with thick ends for heavy flies, or lighter ends to handle small flies. They already have loops tied in to make it easy to change leaders. You can find these leaders in singles or three-packs. They come in several sizes ranging from 7-1/2 feet to 15 feet. 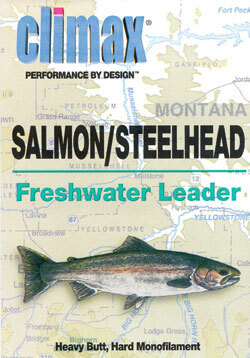 You can find leaders specially made for various fish species besides trout. Steelhead/Atlantic salmon, bonefish, and tarpon are readily available if you prefer to fish for bigger fish or try your hand at saltwater. They even make one for "toothy critters," which covers species like barracuda, pike, and bluefish. This specialized leader material is actually made of steel, and can be used just like any other leader or tippet material. 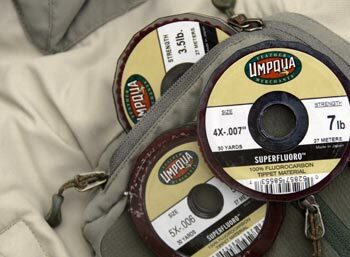 For those who prefer high tech, you may want to try powerflex tippet. 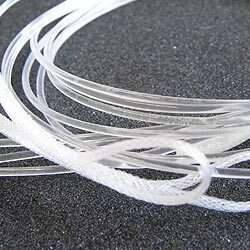 Also known as double strength nylon, it is useful for all species, and is hard for fish to eyeball in the water. 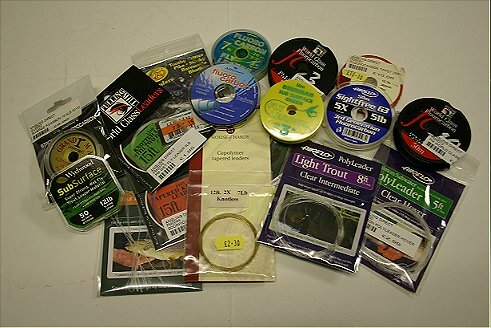 Fluorocarbon (PVDF) is the strongest, thinnest tippet material on the market. It is almost invisible to fish; it sinks faster and drops below the surface tension of the water more effectively for fly fishing. It is abrasion resistant and impervious to ultraviolet damage. You can get it in either soft or slightly stiffer tensions. You can even find tippets that are specially made with a chambered core to provide better buoyancy than traditional lines. This enhances your control over the fly, giving you a stealth advantage over the fish. 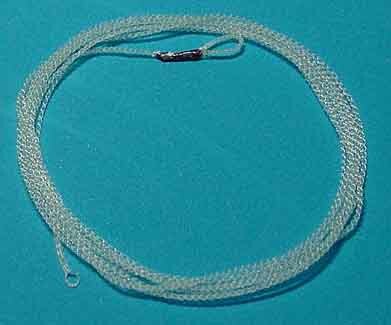 For those who like delicate dry fly presentations, you may want to try braided nylon tippets. They offer extraordinary turnover power for your flies. These leaders and tippets are extremely supple. 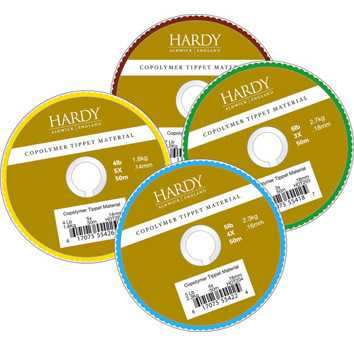 Most commercial leaders and tippets can be purchased for less than $10 unless you are buying multi-packs that contain several spools. If you do buy spools, you can keep them handy on your lanyard.